Hi everyone! I hope you had a fantastic day (or if you're reading this not at the end of the day then I hope you're having a good day!) 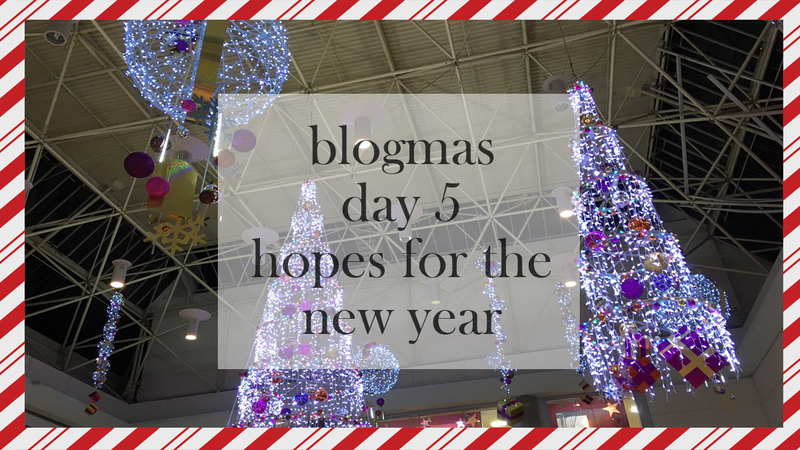 and welcome to Day 5 of Blogmas! I don't know about you guys, but this year has gone SO fast, and I've only just sat down and realised that of this year, we are on day 339 of 365... If you look at it that way, holy crap it's been speedy this year! Since we only have 26 days left of 2016, I wanted to share with you what my hopes for the new year are! Now I know this should be a post for the 30th or 31st, but I feel like now is a good time to reflect and create new hopes and expectations for 2017 - almost as if I could be my own personal Santa or Christmas fairy. Hope 1: I hope that I pass my second year of university. I joined university in the September of 2015 and damn, it was a bumpy ride. Totally didn't expect the workload to be how it was. I knew it was going to be different/harder, but this was a new level. This year has been more difficult academically for me, especially in certain areas like Psychology. For the new year, I want to be able to have a good grasp of what I need to know and to have a good ride towards my dissertation which I'll be starting (hopefully!) next September/October time... WOW, that is terrifying the more I think about it. Hope 2: I hope that my depression/depressive feelings will get sorted out. For me, this is a big one. 2016 has been a toughie because of the spouts of depression I wove in and out of, like a little caterpillar. Regarding mental health, I think this year has been the worst for me. 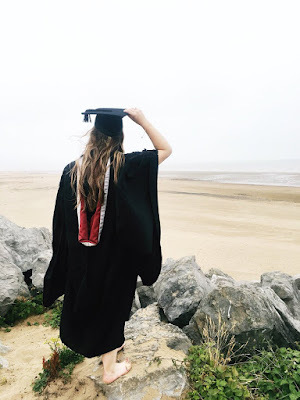 I had to drop out of my job a few weeks earlier than planned because of it, I lost a lot of motivation for university, to socialise, to even want to get out of bed, to eat... The list was endless and even now on the 5th December, I still get like that sometimes. I admit, I'm better for it now than I was in July/August time. This year has been very stressed for different reasons which I won't name, nor name any names because that's not fair. That, and I don't put the blame on anyone for this. Hope 3: I hope I can get more opportunities. Personally, I love having different opportunities to try new things. This year, I've done things I didn't think I'd ever do, and got into different subjects that I didn't think I'd ever do, like joining a political society in my university. If you asked me before January of this year if I was interested in doing that, I'd of said no. Ever since I did my politics module as part of my BSc Health and Social Care degree, it opened my eyes into the political world and I'm actually very interested in it now (as in I actually went home after one society meeting and read 83 pages of a political party's manifesto). Hope 4: I hope that my brother continues to pave his way in life. I can never say this enough, but I am extremely proud of my brother. Like myself, he's struggled with different issues and problems, but he's overcome them. Coming from his 19 year old sister whom is 4 and a half years younger than him, I'm proud of his achievements and the fact he can bring himself out of a trench and battle his way through things. I hope in the next three years, I can sit there with a tear in my eye and a smile on my face as he graduates and gets his diploma. I hope that he continues the path he wants to be on and gets to where he wants to be, because I know he can do it, and I have every bit of faith in him and so much more. Hope 5: I hope that I can take after my mum and care more about myself. It's fair to say that my mum is my role model. She's overcome so much in terms of struggle and barriers, that I really want to take after her. I want to be able to give less of a sh*t about what people think and do things for myself and care more about myself, and to put myself first. 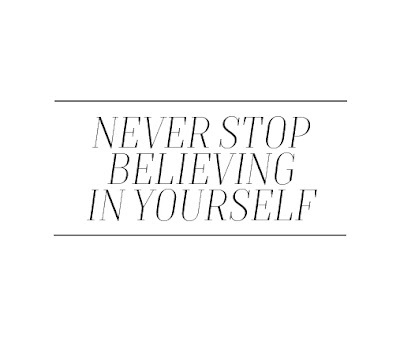 I know she's told me that she took way too long to realise this and do these things, but in my head I tell her it's never too late to do anything and you can always start today, no matter what it is. She has always believed in me and I always believe in her. Hope 6: I hope that my family, friends, boyfriend and his family stay positive and don't let stress or negative feelings bring them down. Each and every person which is involved in that list is a different person. They may get stressed and a bit run down at times, but my hope is that they can stay positive and share love. After all, nothing makes you feel better than a hug off a mum or a grandparent, right? I know that's true for me. I hope that they all have a good 2017 and good things come their way, because for all of them, they deserve it. I hope you're all enjoying your cold and festive month, and are also enjoying Blogmas/Vlogmas this year, I know I am!